LAWRENCEVILLE, GA – The Gwinnett Braves announced today a partnership with the Vs. Cancer Foundation to Cure Kids’ Cancer. G-Braves’ players, coaches and front office staff members are participating in fundraising efforts for the foundation, culminating with “G-Braves Vs. Cancer Night” at Coolray Field on Saturday, August 30. If the Gwinnett Braves raise their collective team goal of $10,000 by August 30, then select players, coaches and front office members will shave their heads prior to the 7:05 PM game against Charlotte. G-Braves’ field manager Brian Snitker, already sporting the shaved-head look, has pledged to shave off his trademark mustache if the goal is reached. Fans can donate now by going online to gbraves.vs-cancer.org. Half of all proceeds will benefit national childhood cancer research, and the other half will help kids directly with the Rally Foundation. Gwinnett’s fundraising efforts are part of a larger “Baseball Vs. Cancer 2014” campaign. A total of 128 teams across the minor league, collegiate, high school and youth ranks are taking part, with a total goal of $750,000. 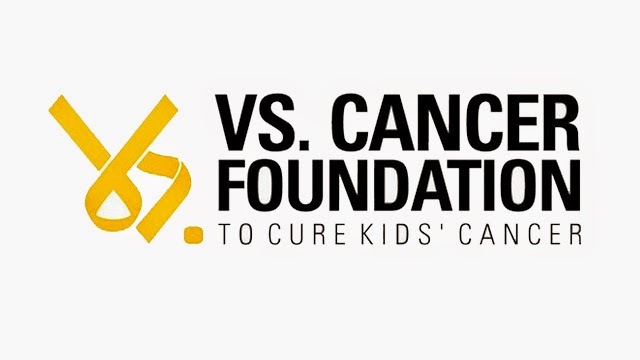 About the Vs. Cancer Foundation: Founded by former University of North Carolina baseball player and Stage IV brain cancer survivorChase Jones, the non-profit organization is dedicated to saving kids’ lives by empowering athletes and communities to fund lifesaving childhood cancer efforts. To donate or get involved, visit vs-cancer.org. About the Gwinnett Braves: The Gwinnett Braves are the Triple-A affiliate of the Atlanta Braves, playing their sixth season at Coolray Field in Lawrenceville, GA. Follow the G-Braves online at GwinnettBraves.com, facebook.com/GwinnettBraves1 andtwitter.com/GwinnettBraves. Tickets for all 2014 home games are on sale now by calling the Coolray Field Ticket Office at 678-277-0340or by visiting GwinnettBraves.com.